The Internal Revenue Service's (IRS) "Where's My Refund" program allows taxpayers to check the status of their federal tax refund. This system is available seven days a week, 24 hours a day, but may be periodically unavailable overnight while it updates. "Where's My Refund?" provides information about refunds owed on tax forms 1040, 1040A or 1040EZ. Refunds due on form 1040X (Amended Tax Return) are not included. Additionally, the system only provides information for your most recently filed tax return. Generally, information on e-filed returns is normally available 24 hours after filing, whereas mailed paper returns require up to four weeks. "Where's My Refund?" consists of a single step in which you must provide three pieces of information. All the required information is located on your most recent tax return. In the first step of the system you must input your social security or tax identification number. If you filed jointly with your spouse, you can provide either your own or your spouse's number. In the next step, you will need to identify your filing status (single, married filing jointly, married filing separately, head of household or qualifying widow or widower). On forms 1040 and 1040A, this information is located on page 1, boxes 1-5. Taxpayers filing a 1040EZ must be single or married filing jointly. In the refund section, you will need to provide the dollar amount of your refund in whole dollars. Do not include any cents you are owed. This information is contained on line 76a of form 1040, line 48a of form 1040A and line 13a of form 1040EZ. Once you input the required information into the system, it generates the status of your refund. There are three statuses: Return Received, Refund Approved and Refund Sent. A Return Received status means that your return is currently being processed. A Refund Approved status means that your refund has been approved and indicates when the funds will be mailed via check or deposited into your bank account. 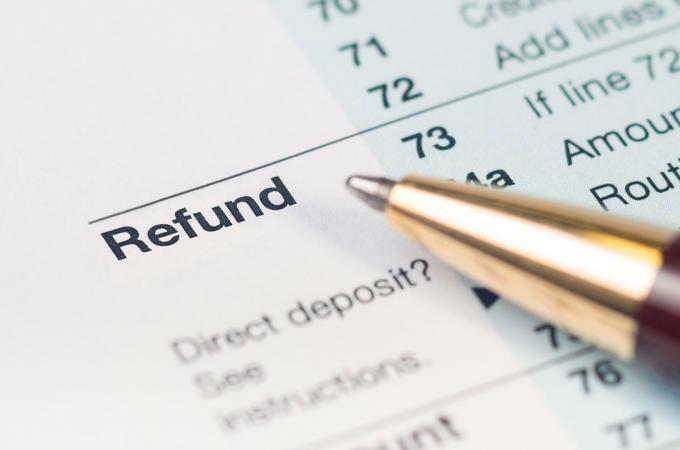 A Refund Sent status means that the IRS has sent your refund via check to the address listed on the return or by electronic deposit to your bank. If you receive an unavailable status for more than two weeks after your return should have been uploaded into the system, contact the IRS at 800-829-1040. The "Where's My Refund?" system allows you to ensure that your return was received and estimate when you should receive your refund. The program is accessible via computer, smartphone or tablet, on the right-hand side of the agency's main website. You can also download the IRS2Go Mobile App to check the status of your refund from your mobile device.